As everyone knows, many commercial buildings are equipped with professional sprinkler systems. In fact, most cities and states mandate that structures of a certain construction type or specific types of business must, by law, have a sprinkler system installed. Currently Colorado has no statewide building code, but local jurisdictions may adopt sprinkler ordinance. 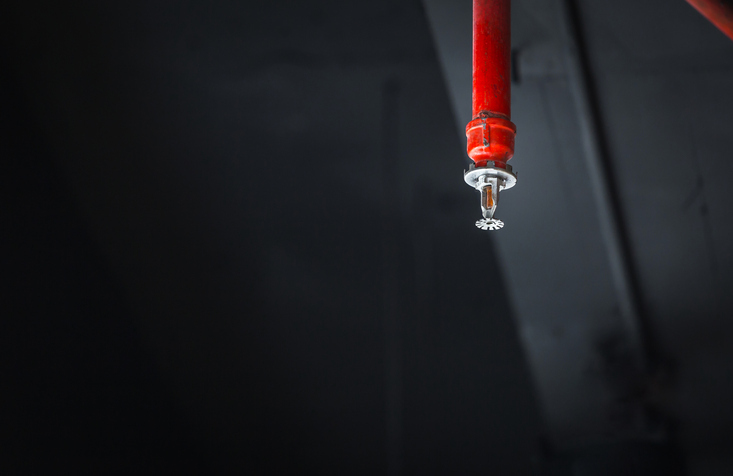 While sprinklers are pretty mainstream and common knowledge, though, the majority of people – including business and building owners – have no idea why they’re so essential to fire safety and avoiding massive fire damage. Understanding the importance of sprinkler systems will allow you to see why proper maintenance and testing is needed. It will also ensure that your sprinkler systems are installed, primed, and ready to go in your hour of need. More than anything, the protection of life should always be the number one priority in any situation. When it comes to fire safety systems, nothing protects life more than a properly maintained automatic sprinkler system. The National Fire Protection Association (NFPA) has stated that there has never been a record of more than two lives having been lost inside of a building where a full, automatic sprinkler system was in place that was well maintained. This single statistic perfectly illustrates their effectiveness. The aftermath of a fire can be devastating to businesses, but sprinklers improve things dramatically. It has been discovered that, when paired with other early warning fire/life safety systems, automatic fire sprinklers are capable of reducing property damage, injuries, and death by more than 50%. Businesses unprotected by sprinkler systems can literally burn to the ground. Even in cases where insurance covers the cost of rebuilding, the loss of patronage can sometimes be so devastating that the business never reopens. Smoke detectors, heat detectors, and flame detectors can all warn building occupants of a fire, but they can’t do anything to contain the situation. As soon as an automatic sprinkler head is heated to a specific temperature, it will open and start deluging the flame with water and will not stop until the fire department turns off the water supply. This can completely suppress the fire before it has a chance to spread, or it can significantly slow down the spread of the flames, giving firefighters those precious moments often needed to save property and lives. In either case, it increases safety while decreasing property damage. Anyone who has ever watched a TV show or a movie has probably viewed a scene in which a fire sprinkler system is activated when someone pulls a fire alarm. We’re here to tell you that Hollywood is WRONG. In order for a fire sprinkler system to turn on, the bulb or fuse located within an individual sprinkler head needs to be heated to a specific temperature. This means that individual sprinklers are activated only in the event of a true fire. The sprinkler heads are sensitive enough to open when necessary, but not so finicky that they’ll cause unnecessary water damage to your property. In fact, research has shown that sprinklers operate during over 90% of all reported structure fires that are big enough to activate the systems. In other words, they work 9 times out of 10. The 1 time out of 10 when they fail is almost always attributed to a lack of maintenance. The installation and ongoing maintenance of a sprinkler system should be a top priority for your business. Don’t hesitate to reach out to the experts at Frontier Fire for more information on fire sprinkler installation, testing, repairs, and maintenance.